This stunning Reserve II condo has it all! Unbeatable location on the trail to Sugar Mountain 's intermediate ski lift. Long range, unobstructed slope, village and mountain views. Gated community at a cool elevation of 4,600 feet. Beautiful wood and tile flooring which extends from entry through kitchen to guest suite. Granite, stainless, tiled tub/shower surround in the guest bath, large whirlpool tub in the master bath alcove, like new furnishings and accessories included, upscale window treatments and fan/lights, gas log fireplace, central heat/air, full sized washer/dryer adjacent to the kitchen. Huge covered observation deck accessible to both living areas and master suite. Guest suite has its own bath, also accessible to the great room. Quiet dead end street; no through traffic. Pet friendly and hiking/biking trail accessible. HD cable television included in association dues. 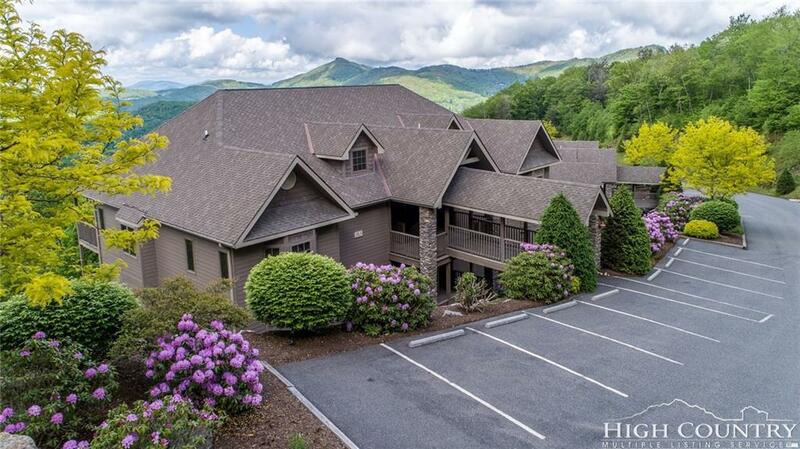 Minutes from Sugar Mountain golf, tennis and Sugar Mountain Resort. No joining fees. The best dining and shopping in the high country less than ten minutes away. Pictures are worth 1000 words but be sure to take the virtual tour; it's like being there. Then make that call. Don't let this one get away.